It's Wanderlust Wednesday! 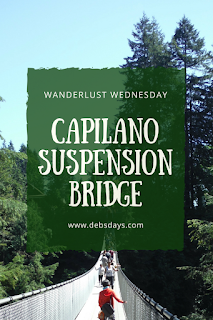 Today we're talking about the Capilano Suspension Bridge in Vancouver. 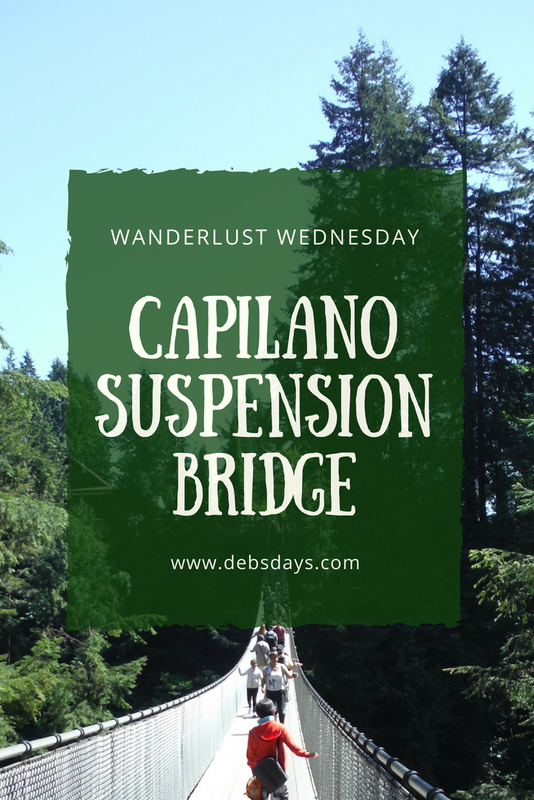 If you're scared of heights, the Capilano Suspension Bridge in Canada is probably not somewhere you want to spend much time. Why? It's 230 feet off the ground. And it moves. And shakes and shimmies. If you are afraid of heights you really won't want to make your way to the Cliffwalk. It clings to the cliff walls. But even more heart-pounding are the places where it juts out from the cliff walls. Don't look down. It's a long way to the bottom. But if you can manage it, it will be an exhilarating visit!